There is no doubt Windows 7 is turning the heads of many companies. In fact, more than 19% percent of the global IT workforce is expected to be using Windows 7 by the end of 2010. 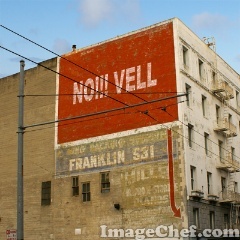 “Novell demos fast app deployment on Windows 7,” says another news report. Novell has demonstrated how it can help IT managers migrate XP to Windows 7. Novell recommends that users assess the Windows 7 opportunities in their business, migrate quickly, then manage and optimise the operating environment. That’s right. Novell recommends that users assess Vista 7. Novell employees, some of whom move to Microsoft or become Microsoft MVPs, do a lot of lip service to Microsoft these days. Are they expecting Microsoft to buy Novell or something? Novell is pretty much the only company that labels its GNU/Linux distribution “Service Pack X” (just like Microsoft) and Professor Eben Moglen opined that Microsoft would call its GNU/Linux distribution “Novell”. Would Microsoft consider selling SLE* SP1 directly*? Microsoft has been named by an analyst as a potential buyer of Novell. “Novell employees, some of whom move to Microsoft or become Microsoft MVPs, do a lot of lip service to Microsoft these days.”Earlier this year, Moglen explained why “cloud computing” is just smoke or fog (we at Techrights refer to it as “Fog Computing”). Richard Stallman also wrote about the subject this year, warning that Fog Computing is just proprietary software and even worse because there is no user access even to the binaries. After a five-year absence, Novell is staging its BrainShare EMEA conference in Amsterdam starting today. This week’s 103 technical sessions were completely sold out in terms of attendance and by the look of things most attendees made it to the keynote this morning despite Amsterdam’s other enticing attractions. Novell Inc. is continuing its effort to be a significant cloud computing player with the official beta launch of its Identity Manager 4 suite. The platform aims to give both IT administrators and business managers the ability to manage identity and access controls across physical, virtual and hybrid private/public cloud IT shops. * There is a new release right now about Service Pack 1 for SLE* 11. Here is the press release [1, 2], some more hype with accompanying press releases from other companies/products like LINBIT and Ingres [1, 2], and also news coverage [1, 2, 3, 4, 5, 6, 7]. Novell, like SCO, is more valuable to Microsoft as an apparently independent company, aka a shill. If Novell follows the SCO trajectory, their independent business will collapse, leaving a core of lawyers and PR people. These will be paid some kind of survival ration and their rhetoric will become increasingly deranged and free software hostile.